The beauty of travel is that it doesn’t have an expiration date, and the best way to get over the fact that summer is almost over is to start planning your next trip as soon as possible. Miami is always in season, and the village of Bal Harbour in North Miami is a hidden seaside jewel offering something for everyone, whether you’re simply looking to relax on the beach and soak up the Florida sunshine, or explore the local culture through museum and art gallery visits. Bal Harbour is also home to luxurious hotels like the Ritz-Carlton and St. Regis, and it’s where you’ll find Bal Harbour Shops, a collection of the world’s most sought-after boutique stores and restaurants. No matter how often I visit, my vacation is never long enough. The St. Regis Bal Harbour is a stunning hotel in the heart of Bal Harbour. One of only 50 properties worldwide that bear the St. Regis name, this oceanfront haven will leave you breathless from the moment you enter the grand lobby and accept your complimentary glass of champagne upon check-in. What's in a name? St. Regis is synonymous with luxury, and world-class dining, 24-hour butler service, a full-service spa, and two infinity pools overlooking the Atlantic ocean (one reserved for adults only) are just the beginning here in Bal Harbour. The spacious oceanfront guest rooms feature marble floors throughout the entranceway and bathroom, plus a huge mirrored walk-in closet you'll want to move into. The neutral colours create an atmosphere of relaxation, and the couches on the oversized balconies are so comfortable, you may find yourself falling asleep under the stars to the sound of the ocean waves. Pure paradise. There's plenty to explore and enjoy around the hotel property, all with the same attention to detail, but if maximum beach time is your goal, give yourself the gift of the complete St. Regis experience by renting a cabana or better yet, an oceanfront day villa, which comes complete with your own personal butler, a daybed, a bathroom with shower, marble floors, a television, a wet bar and fridge, air conditioning, private loungers, and a dining table, all with ocean views. If you need a break from the sun, schedule a visit to the stunning 14,000 square foot Remede Spa. The Yabu Pushelberg-designed interior is stunning, but it’s the service that really stands out. I recommend indulging in a one-hour massage; it was one of the best I’ve ever had and just what I needed to recharge my batteries. If exploring arts and culture is your thing, check out Unscripted, Bal Harbour's public art program. The city has partnered with some of Miami's top fine art museums to provide free access for residents and guests and bring contemporary art exhibits and events into Bal Harbour. Take a wander along Bal Harbour's beachwalk and experience "Post Haste," a series of four 'visual poems' created by O, Miami, on display until October 31. 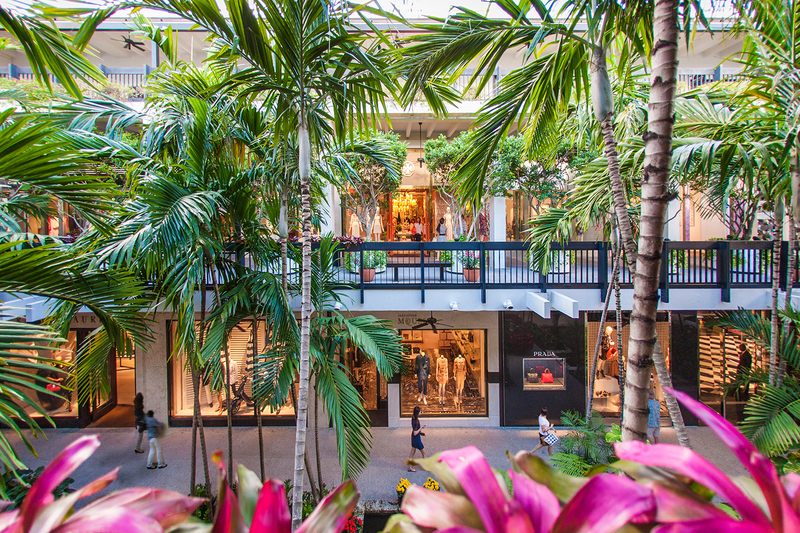 Across the street from the St. Regis, you’ll find the world-famous Bal Harbour Shops, a two-storey outdoor mall lined with palm trees, waterfalls and ponds and boasting brands like Chanel, Gucci, Tory Burch, Prada, and Rolex. As the parking lot full of Lamborghinis and Ferraris suggests, it’s the place to people watch, and chances are good that you'll bump into a celebrity, singer, or professional athlete (I met Pharrell outside Louis Vuitton). Make sure to stop by Ladurée for the most delicious macarons of all time. Some of the best dining options in South Florida can be found in the Bal Harbour Shops. Le Zoo, a Stephen Starr brasserie, is a delicious combination of Miami glamour mixed with the elegance of Paris, while Makoto, another Starr restaurant, features Japanese fine dining that is perfect for lunch on the go. Most star sightings happen at Carpaccio’s, an upscale Italian restaurant that has become a family favourite. During our week-long trips to South Florida, we usually make it a point to dine here at least three times. 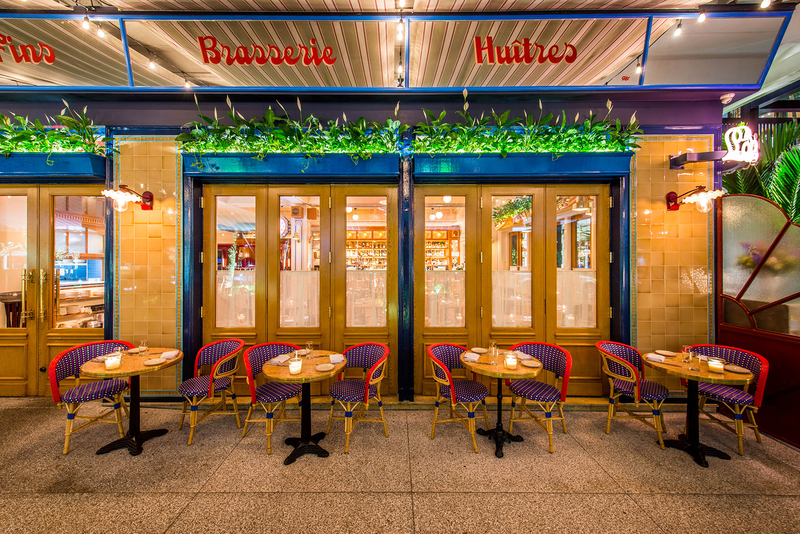 It’s the best place to people-watch while enjoying Italian cuisine. The St. Regis has recently launched what can best be described as a true culinary experience with its authentic Greek restaurant, Atlantikos. The ambiance will make you feel like you’ve been whisked away to the Greek islands — Santorini, to be exact. Each night begins with a traditional Greek plate-breaking ritual, followed by sumptuous Mediterranean cuisine prepared by Chef Anastassios Tasos Chasekiouglou with seafood from the Atlantic Ocean and Aegean Sea. Whether you’re working on your tan on the beach or poolside, dining or shopping, or taking in a museum or art exhibit, Bal Harbour is truly luxury defined, and the perfect vacation destination no matter the season.